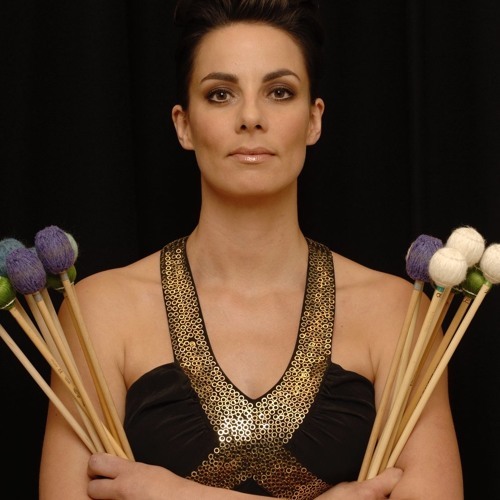 "I Beat with the World Outside" written for Claire Edwardes in 2017 as part of the National Women in Composition Development Program (#NWCDP)for unpitched percussion and backing track, by Natalie Nicolas. The composer is highly involved both by choice and by context, in the Popular music scene. There is a general oversight of the role of the percussionist in Popular music, however her research shows the absolute paramount nature of the rhythm to charging audience’s reactions with a piece: sensoromitor synchronisation is the phenomenon behind our tapping, beating culture. Our interaction with a prominent rhythm is when our natural bodily rhythms lock into a common periodicity and oscillate as one with the external rhythm, causing our pulse to move completely at mercy to it. This piece aims to project the percussionist to begin with as we ordinarily encounter her within a Pop context, and gradually bring her to the forefront where the surrounds drop away and we are left with the most important part of our every day, toe tapping, fist pumping, head nodding music: the rhythm.